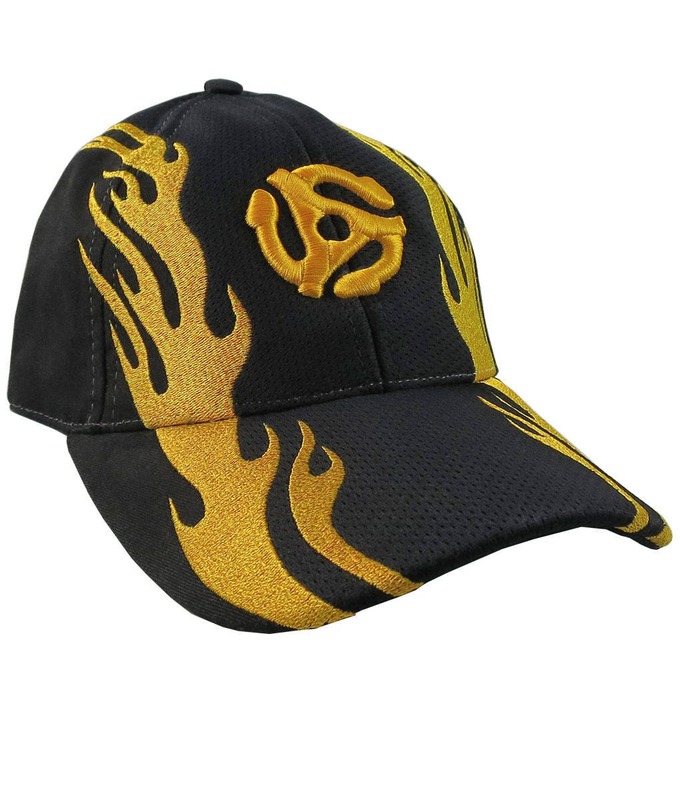 Here is a fashion hat for festive occasions. 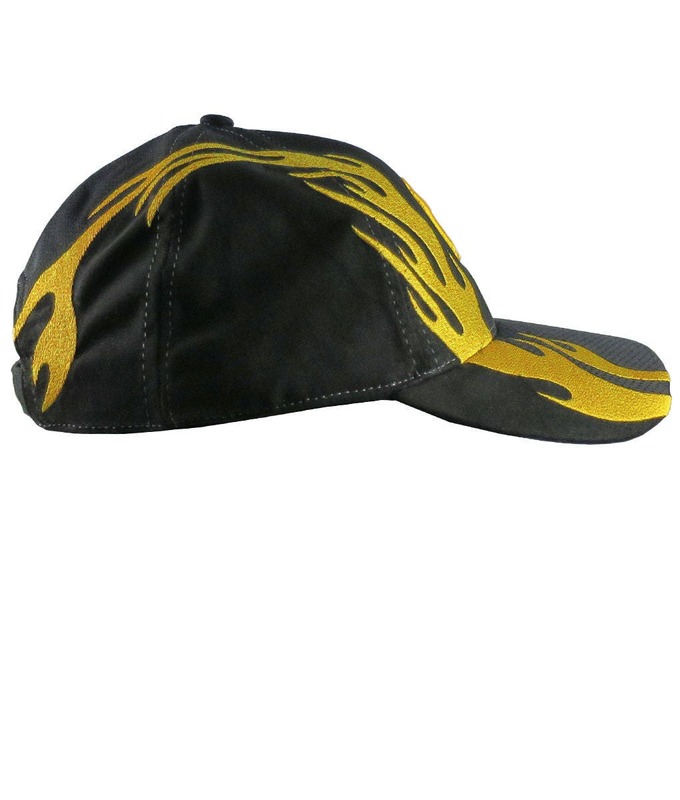 This adjustable baseball cap style hat is constructed of multiple details making it a show hat, a fashion statement worthy of any fine and sophisticated occasions. 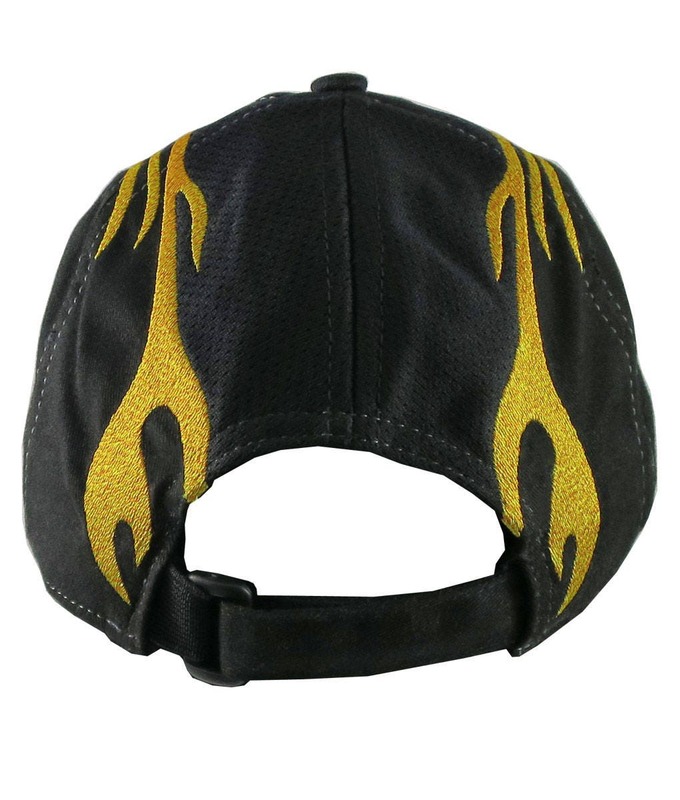 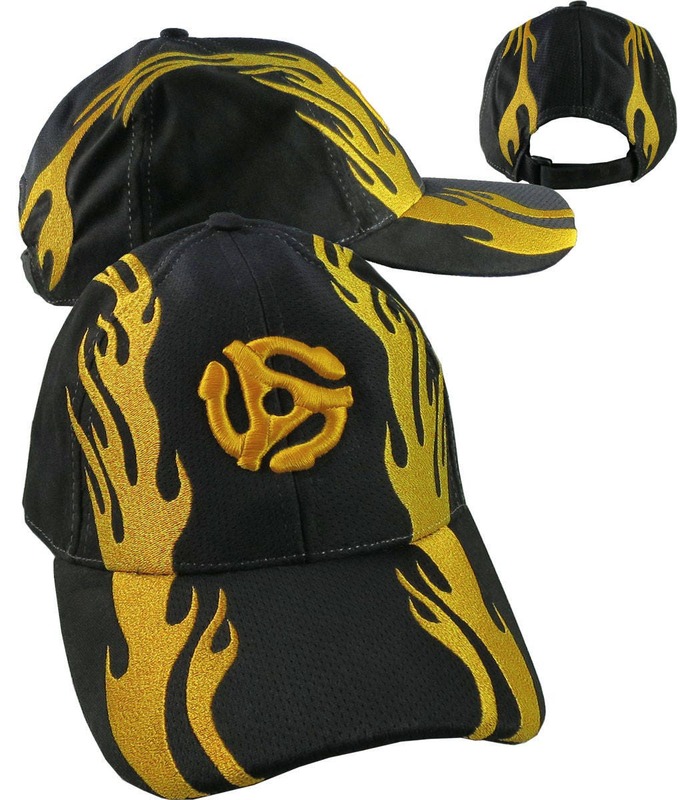 The hat features a micro mesh fabric section and racing flames embroidery running front to back. 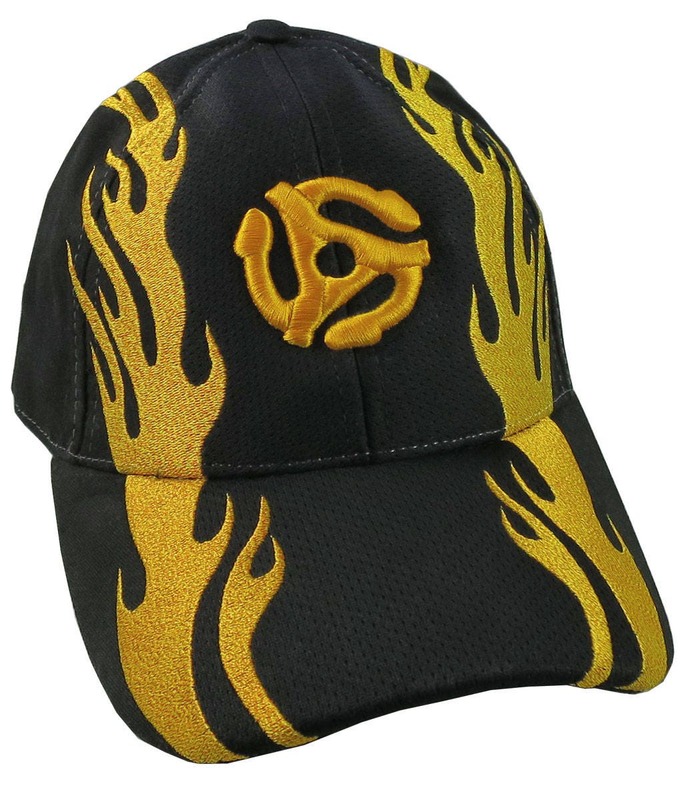 A retro 45 record spacer is its focal point, a theme setter done in the 3D puff embroidery technique. 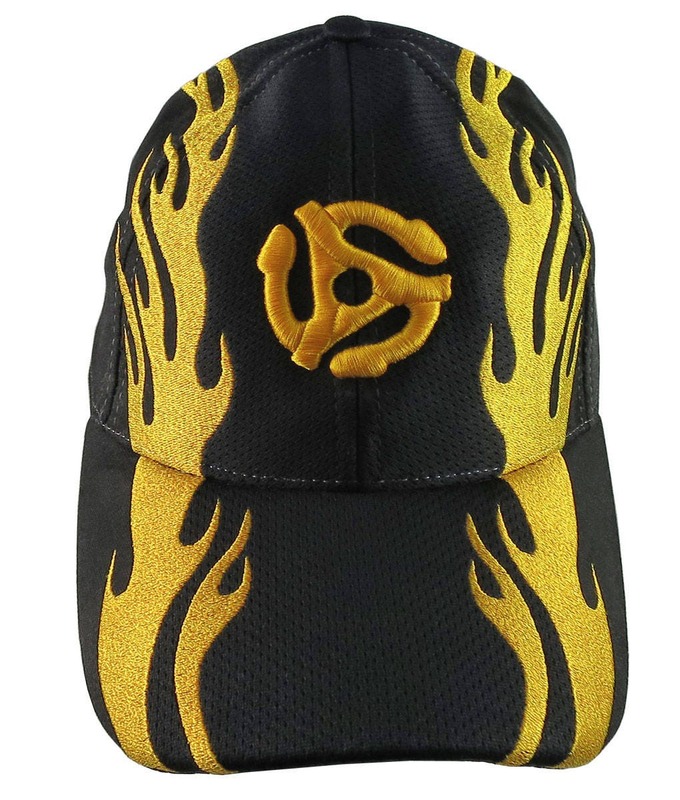 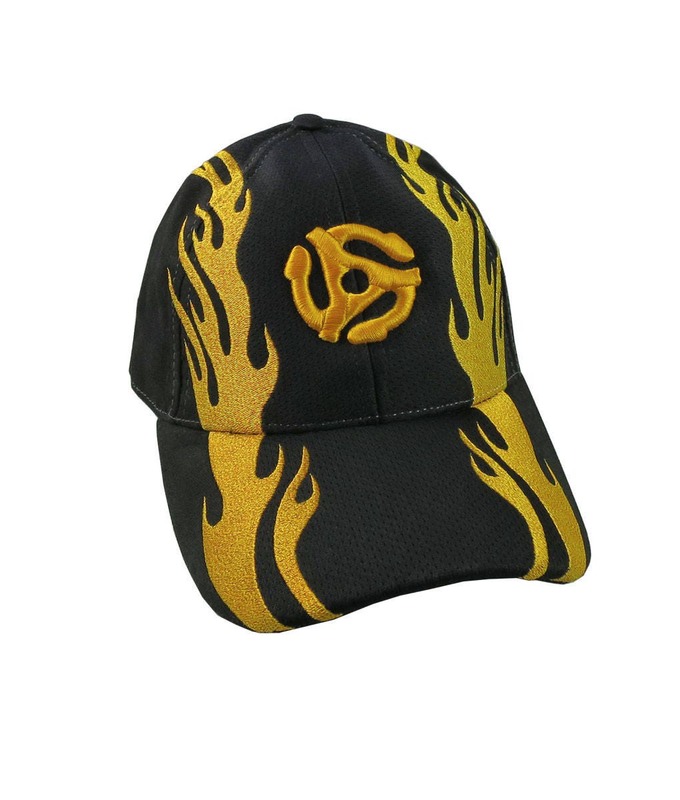 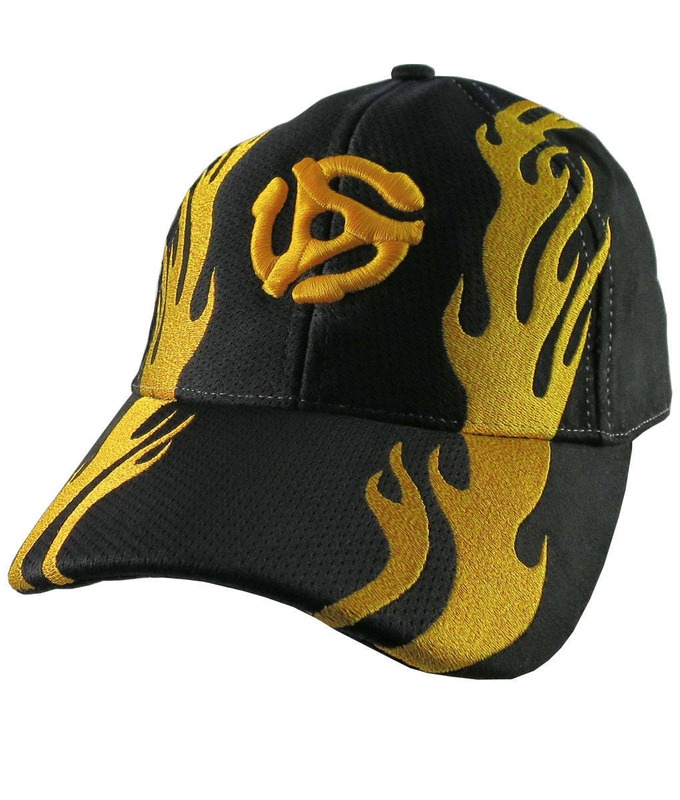 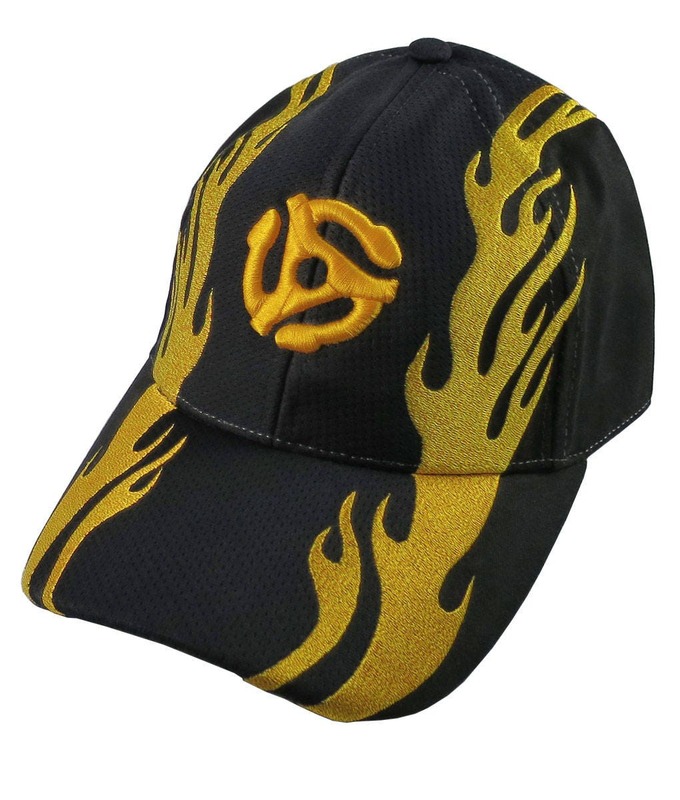 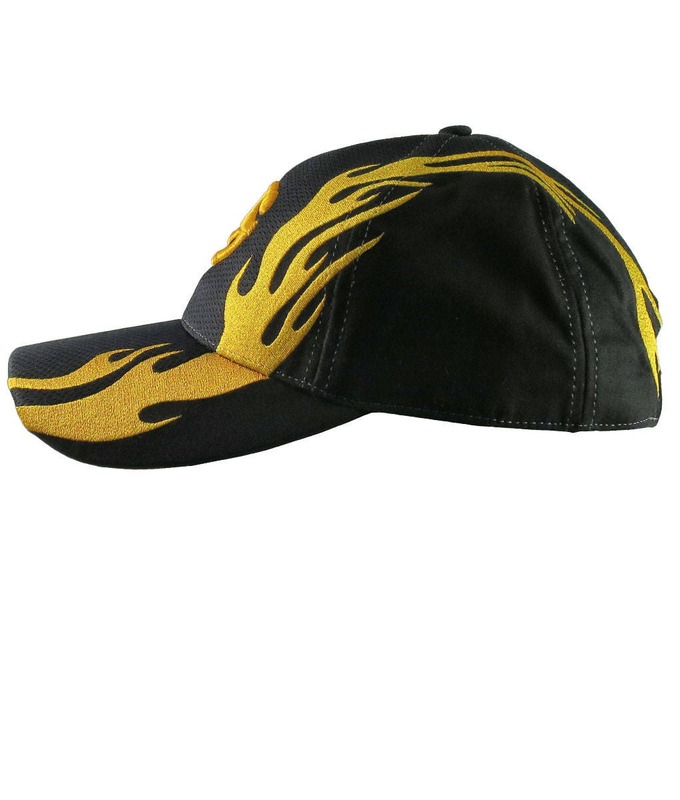 This bumble bee, black and golden yellow fashion cap is sure to make an impression on, or off the stage.